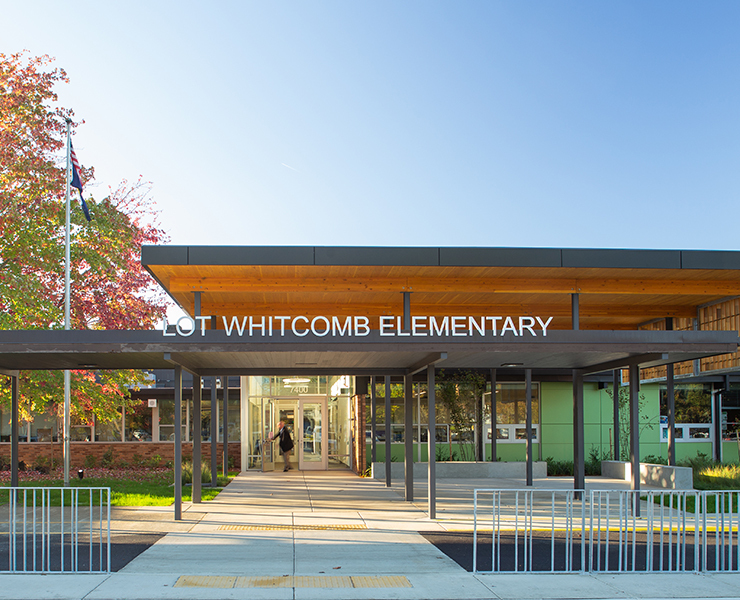 The Lot Whitcomb Elementary School renovation modernized an existing 1958 elementary school. Opsis worked with the CM/GC to execute a phased, occupied renovation, completing the project in ten months, ahead of schedule. 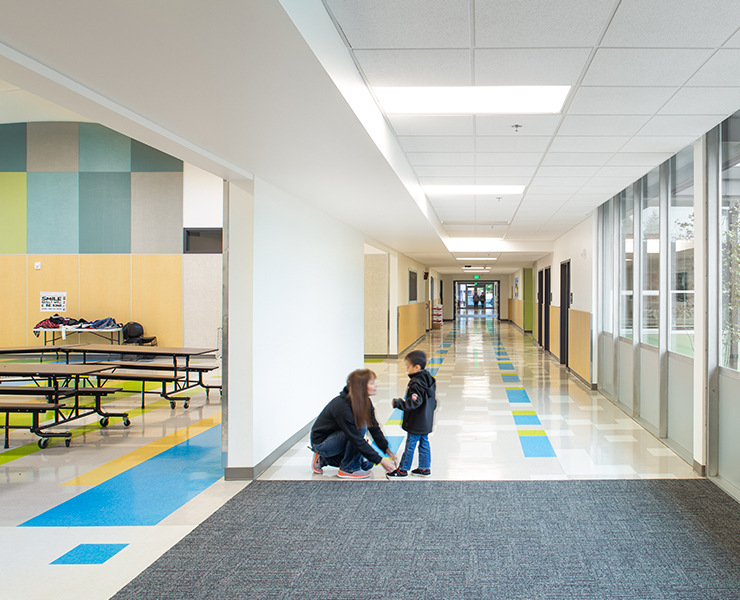 A reconfigured front parking lot allows for safer site circulation of students, buses and cars. A protected parent drop-off separates car and bus circulation. A new, additional parking lot at the back of the site creates designated staff parking. New landscaping and a community garden reinvigorate the site for the surrounding neighborhood. 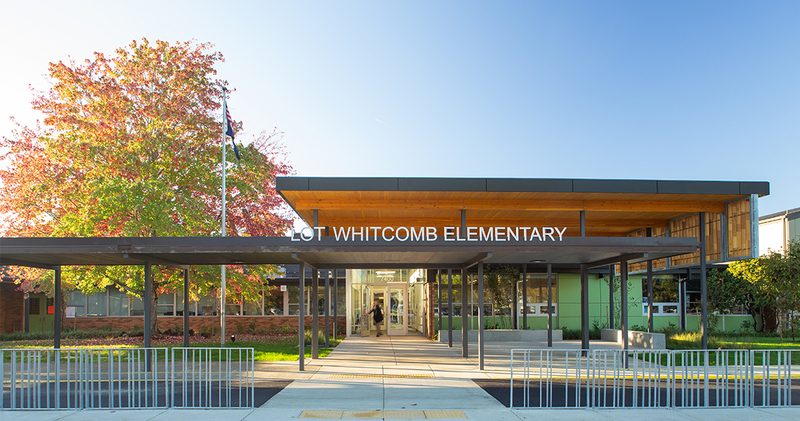 A large cross-laminated timber canopy creates a covered plaza in front of the school. 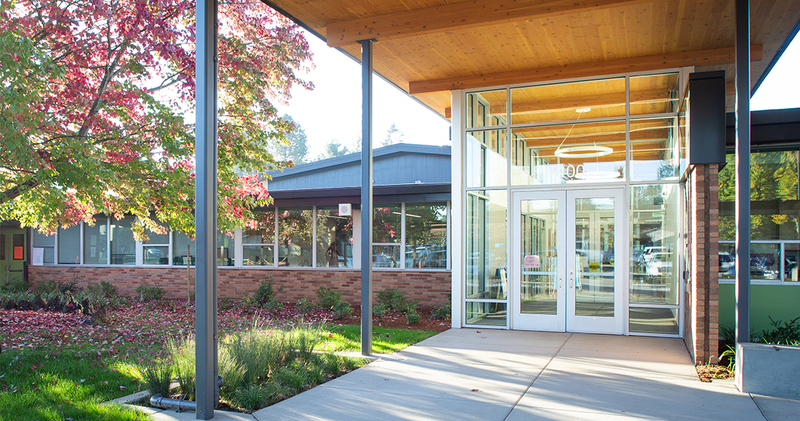 The renovated main entry provides added security and a welcoming and bright front door. The reconfigured administration area allows staff to monitor visitors and provides functional work space for administrative staff. 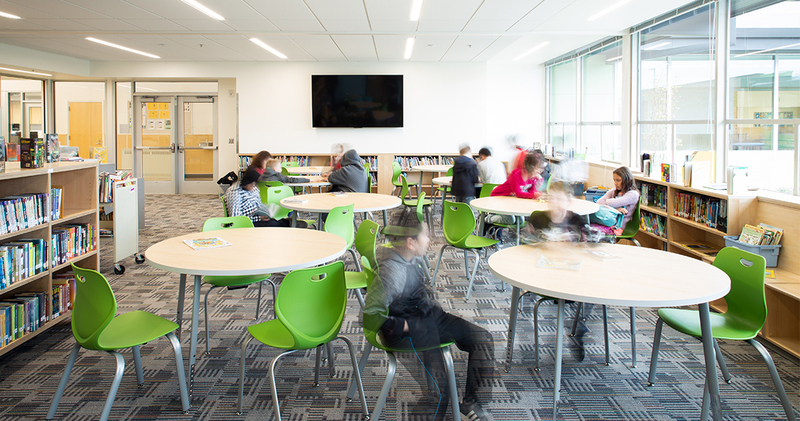 Public spaces such as the library, after school programs, and parents’ groups were relocated near the main entry, creating better opportunities for public and after-hours use. 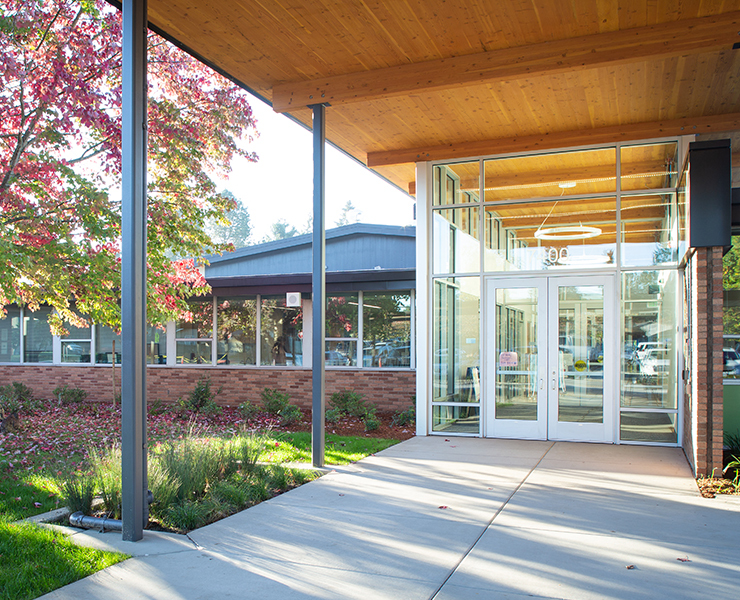 A new lobby links a free-standing gym to the main school building. 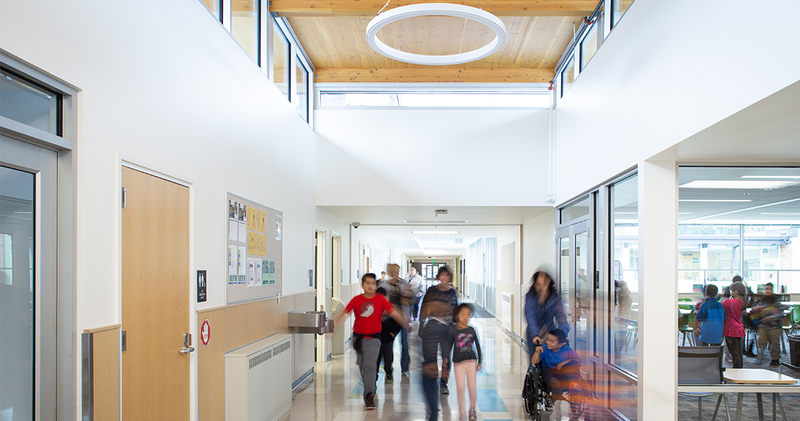 New corridors provide access to classrooms that were previously disconnected from the main school. 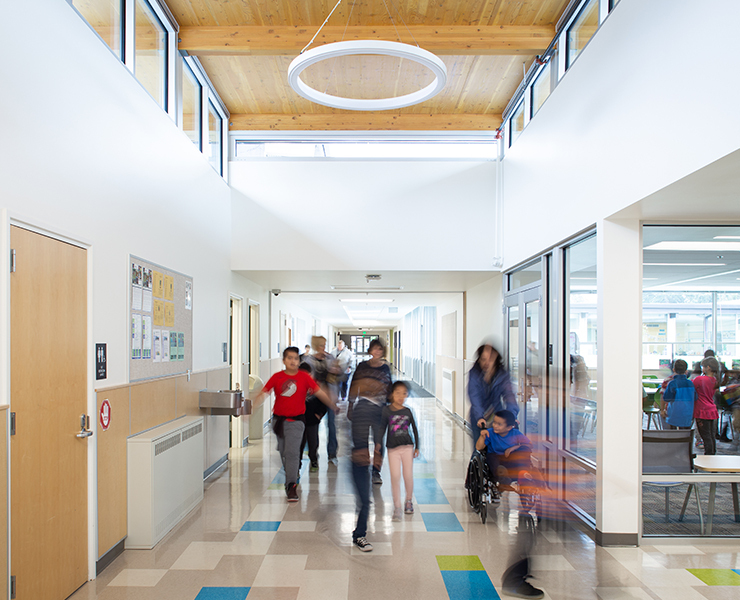 A refreshed courtyard doubles as a cafeteria extension and outdoor learning space. 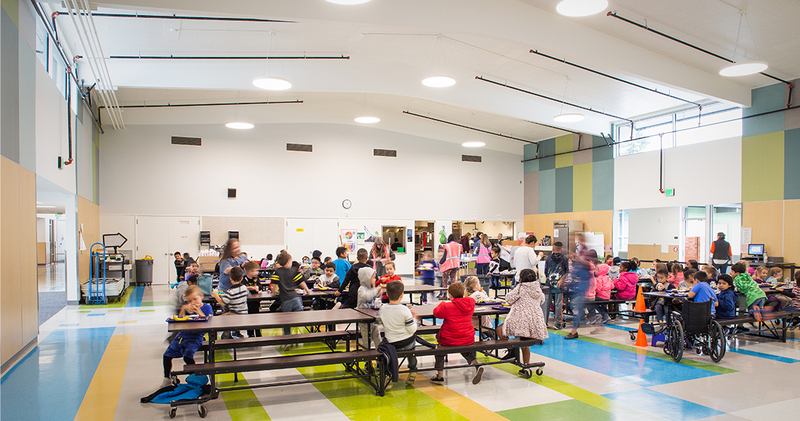 A right-sized cafeteria has been modified by inserting new clerestories and large openings to become a functional school commons. Leftover square footage was used to create a music room and cool down space. 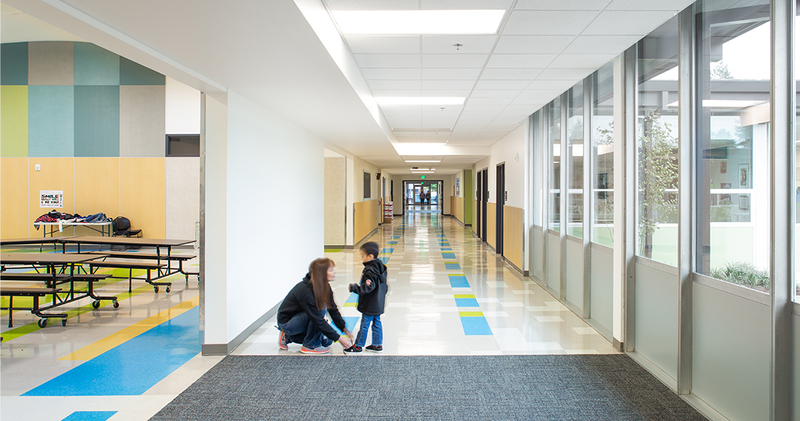 Four new classrooms, restrooms, and breakout spaces replace existing modular buildings. 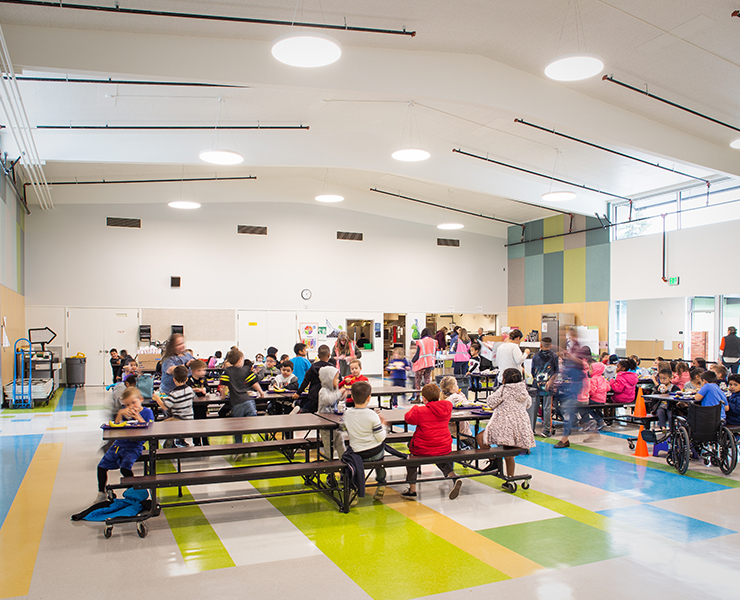 The renovation includes system upgrades such as new, efficient furnaces, boilers, and water heaters, as well as a new sprinkler system, hazardous material abatement, and seismic upgrades. 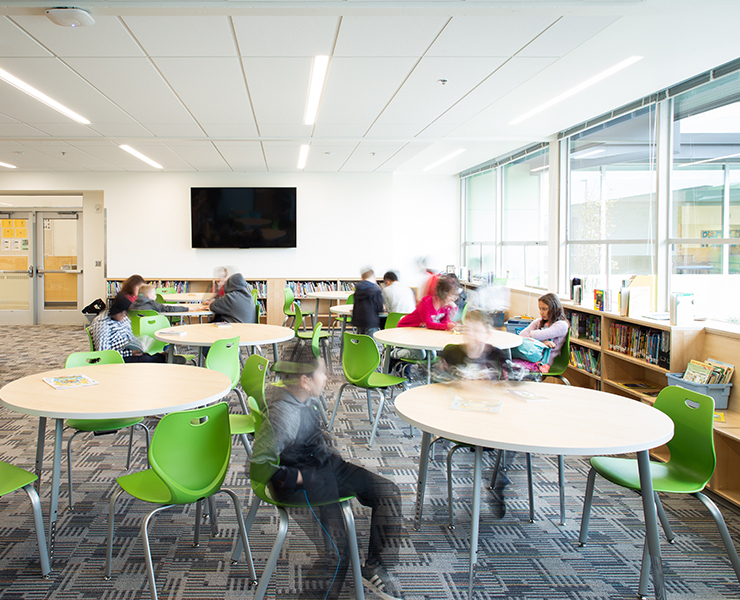 The school received new flooring, acoustical ceilings, paint, casework, and LED lighting and modernized all existing classrooms.